The November 8th issue of The New Yorker contains this fascinating article by Jennifer Kahn on the long distance coaching philosophy and techniques of Alberto Salazar. “Perfect Stride” traces the life of Alberto Salazar from runner to coach, and discusses the orthodoxy of Salazar’s coaching techniques as his methodology has drifted between technology and form. Why does Salazar think you should not run long distance with your thumbs pointing up? What does Salazar think about a long vs. short and quick retraction of the trailing leg in sprinters and long distance runners? What does Salazar think is the optimal position of the femur bone relative to the ground for a runner? These are just a few of the ideas that make this piece a worthy read. Saint Joseph’s University Women’s and Men’s Track teams travel to Penn State on Saturday, January 8th for the Penn State Relays. The tentative schedule of events can be found here, http://grfx.cstv.com/photos/schools/psu/sports/c-track/auto_pdf/11-psu-relays-sked.pdf. After the holiday hiatus, the Saint Joseph’s Men’s track team heads to the Delaware Invitational, in Newark, DE, on Friday, January 7, 2011. I-95 South to Delaware exit 1-B, Route 896 north. Delaware Field House is located on the right, after Routes 4/896 intersection and adjacent to the Bob Carpenter Center and Delaware Stadium. I-95 North to Maryland Exit 109B, Route 279 north (also called Route 2). Proceed on this road which becomes Elkton Road into Newark. Turn right at the intersection of Routes 2 (279) and 4. Turn left at intersection of Routes 4/896. 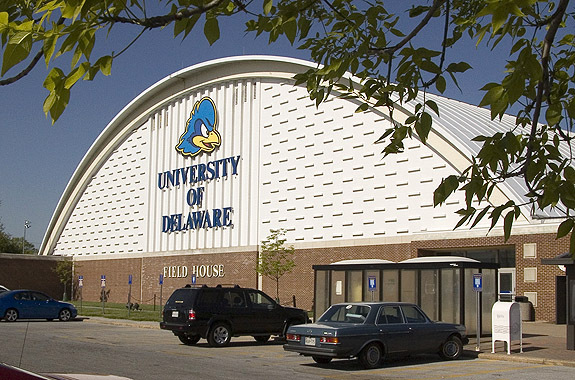 The Delaware Field House Center is located on the right, adjacent to the Bob Carpenter Center and Delaware Stadium. Places to stay, if you are traveling from afar. Note: There will be no concession stand at the facility, so bring coffee (etc.) with you! The Saint Joseph’s Women’s Track Team heads to Princeton on Friday, January 7, 2011 for a Quad Meet with Princeton, Rutgers, and St. John’s University. Heading north on Washington Road (away from Route 1), turn right onto Faculty Road. (If you are heading south on Washington Road from Nassau Street/Route 27, turn left onto Faculty Road instead.) 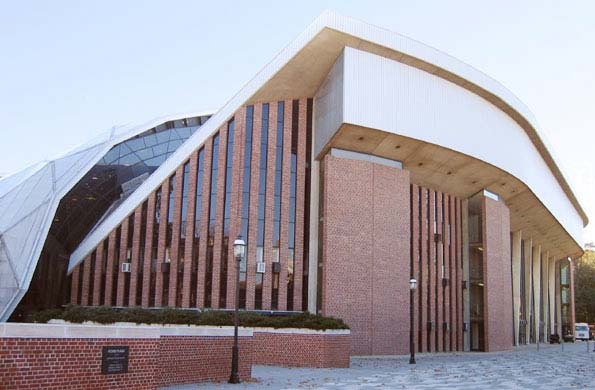 After passing Jadwin Gym, turn left on FitzRandolph Road and then take the first left turn into Lot 21. Happy Holidays to all athletes, coaches, parents, and fans. While you are awaiting more news and information here, enjoy your holidays – and this video. Congratulations to Saint Joseph’s University‘s Luke Fischer for his being awarded Atlantic 10 Co-Performer of the Week for Luke’s performance in the Mile race at the Princeton New Year’s Invitational. More details below as well as on the Saint Joseph’s University Indoor Track team website, and on the Atlantic 10 website. Results for the Saint Joseph’s University Hawks at the Princeton New Year’s Invitational Track & Field meet. Congratulations to our Hawks for several top-5 finishes, and many very strong efforts! Women’s results are listed first, with the Men’s Results further below.